I’ve discovered the secret to raising grateful kids in an entitled world. Lean in and I’ll tell you…It doesn’t exist. Every home and every kid is different. That’s one of the things that makes family life so amazing–we are unique! There are no two exactly alike. What works for one, might not work for the other. We are all doing the best we can. If you’re like me, with summer in full swing, you might need a little dose of gratitude sprinkled around your house. Boredom is setting in, kids are complaining, and you could use a little encouragement. “I hope you don’t act this way at school!” Raise your hand if you’ve said it. I have. I used to wonder why my kids would get glowing reports, and then come home and act like little devils. An older mom once cleared it up for me. “Kristen, isn’t this what you want? You teach them how to act and treat others, and they are doing it where it’s most important. They conform to society’s rules of no touching or talking in the hallway, and when they get home, they just need to let it all out. They feel safe at home—that’s why you see them at their worst.” Well, let me tell you, that was good news for this mom. I want my home to be a safe place. I want it to be the place they bring their friends and hang out. I want my kids to feel secure enough to confess their struggles and sin and share their successes. My husband and I grew up in a legalistic church background and this kind of atmosphere makes rules pretty important. Although we’re trying to raise our kids in a grace-filled home, sometimes old habits die hard. My nature is to follow rules. It took me a long time to see that rule-following doesn’t always reflect a heart for doing what’s right. When we choose grace over legalism, we are really choosing relationship over rules. That’s not to say we shouldn’t have rules. I have a long list. But there must be flexibility, too. There will be times when we have to lay aside our rules to save the relationship. When our kids push against us, our first reaction is to push back. But many times when they are struggling, they don’t need more discipline—they need more love. Nothing has helped our family more on this countercultural road than living in community with families who have the same goals. No, we haven’t moved to a religious compound or formed an exclusive clique. But we intentionally spend time with people who want the same results we do. That doesn’t mean it’s perfect or even tidy. When we let people into our lives and become vulnerable, they are going to see our mess. They will know we don’t have it all together; they will see that we are just like them. Nothing we do or say can ever substitute for bowing our heads and praying for our children. There have been some really hard days in this journey when I’ve gone to bed burdened for one of my kids and slept fitfully, only to face another conflict the next morning. I have wanted to give up many times. And I have found comfort and peace in only one place—on my knees. There is something deeply spiritual and healing about humbling our bodies and our pride and laying the burden at Jesus’ feet. Prayer is often the last thing we think of when it comes to difficult parenting days. We reserve it for our desperate moments, when there’s an unexpected diagnosis or rebellion. But God wants to walk this path with us. “When they are struggling they do t need more discipline they need more love” really spoke to me tonight. Thank you. Just exactly what I needed to read today. Thank you! I would love to read this book. I have my own daughter but also teach first grade. Great article! I’d love a copy of the book! Choosing relationship over rules really struck a chord with me. As a parent of two, the oldest 7, it was a such an epiphany when I started to see that I needed to parent the way Jesus loved, with forgiveness and grace. I can’t wait to see how we can work on gratitude with our family with this series. ? I would love a copy of this book! I need all the help I can get in teaching them how to be grateful. Thank you so much! This looks wonderful and I would love a copy. Just had a little “come to Jesus” moment with my teenager and 10 year old. Whoooo eeeee. These are hard years! I need to chose love over rules more! I like you want our home to be my kids safe place, so I need to really start learning when to bend! Thank you! Ahhh, I totally relate to #2. Grew up German Baptist, need I say more about rules and legalism? I have been parenting our 7 kids for 23 years and the struggle to raise grateful kids who are surrounded by friends who “get everything they want” has been the hardest by far. I am looking forward to reading your book! I was just soaking this in. As I was reading, I thought I hope she has a book or something other than this page of 4 things. It was all grace filled and real and I could just soak in it all the time. Thank you. I needed this. Thank you as always for the post! Looking forward to the summer challenge. I love these reminders. Our summer break just started this weekend, but boy, I already needed this! I would love to win one of your books. Thanks for the opportunity! Whoa. Just what we needed to hear in this house. So much wisdom!!! You have no idea how timely this is! I’m already brainstorming what to do over the summer with the week I have left….thank you for these thoughts! I always love your posts. I needed this one today. I really needed this, especially today. We have a 14 yro who is struggling. I look forward to the rest of the summer posts! I would love to receive a copy of this book. And yes, I too have been curious as to why my kids behave so well for others! Yes please. I NEED this book! Parenting from the trenches here so please count me in. I would love to get my hands in this book! Oh how I need this book. I took half the boys’ toys away and put them in the garage. It’s just too much. Too much to fight over and too much to clean and too much making them want more. I don’t know if I’m right or wrong, but we all need more gratitude and at least this started the conversation (and shockingly with no tears!). “Relationships over rules” – I need to grow in this. But the words really spoke to me. Grace, not perfection. Trying to remember it and instill in our kids as well. Thank you for this. Yes, please. It’s so important to learn how to raise our children counter culturally. Love this! Great words to reflect on in raising my girls! Thank you! I really needed to read this tonight! I would love to read your book as well! I could use all the help I can get. I’m so that mom? I so struggle with legalism. My husband as well. And I desperately want relationship over rules. I am always conscious of what I am saying and debate, “do I go strict right now? What does this hold need in the moment? Holy crap this is HARD!” Haha. I would love to win your book. I have been wanting to read it!!! Me.. Me!! I would love to win a copy? Loved this post. Can you speak more about choosing relationship over rules with some real life examples? I definitely give grace in situations but that usually after something has happened. But the way I read your tip was more like before something happened….I would love some ideas on this. A book for the win would be a great bonus ;)! Thank you! Love your posts. Several things today pointed me to the thought that I need to spend more time helping my kids learn scripture. Love your comments on surrounding yourselves with others who have the same goals for their families, blessings to you. Just what I needed after an exasperating day with our three teenage girls! Thank you for the reminders. This is so timely. I was just dealing with this today when I took my kids to the movies. They were upset I took them to the boring regular version rather than the 3D version! I explained that I rarely got to go to movies when I was a kid and they should be grateful to go at all. Yeah, you can imagine that didn’t go over well. I clearly need your book! My best tool…the name of Jesus. The enemy wants my kids something fierce. Love your posts. You say what my heart feels and needs. Keep at it momma! I have been encouraged by your other books and I have been wanting to read this book ever since it came out. I just finished listening to the audio and LoVeD it! Would love to have a copy of he book to read again and use as a reference. I know this is one I would go back to again and again. Excited for the summer challenge! Oh man was this ever timely to read! I just plopped down in the couch after putting kids to bed and Was feeling so defeated, tired, and sad. Thanks for the wisdom! Yes- all of this! But it’s so true that we can’t parent well without a like-minded community. Then our kids know they aren’t the only ones with mean parents ? This was a great read and definitely some nuggets of wisdom to take with you after reading. Thank you for taking the time to write and encourage other parents. Correcting typo in email. Well worth the time to read. “God wants to walk this path with us.” Need a tattoo! Rule follower here too! It’s hard to break that tendency in myself, but I completely agree with you: relationships are more important than rules. Thanks for the reminder ? I tend to be really rule focused. Thanks for the tips. Would love the book! Great tidbits! Would love the book as we enter our son’s teenage years. I would love to win. Our family is struggling right now. We are just starting this journey with our three year old and it’s ROUGH already! The entitlement starts early! With baby #2 on the way, I’m not sure I’ll always have the stamina to keep up the fight for gratefulness and a kind heart, but I’m going to try. Three years old has been so much tougher than any other year so far. I applaud you Mamas who have been doing this much longer! God, please help me bring this issue to you daily so that I can raise our sons into great men! Our family seems to be struggling with gratitude lately; thanks for the suggestions and reminders! My kids have gotten to the point it feels like they expect more and more and have forgotten how to be grateful. It’s not that we aren’t trying….we are. Just not sure what else to do sometimes. I need this book so badly!! The more encourage and prayer help I can get the better. I have had your book on my wish list for quite some time now!! Thanks for the reminders in this post! I would so love a copy of your book! I recently bought a family global kit that I can’t wait to use to help my kiddos learn about God’s beautiful people in this world! Thank you for all you’re doing!!! Struggling with gratitude over here for sure! Would love to read the book. Thanks for this list…good reminders and perspective! Oh yes. Count me in please! I so needed to read this today and know I’m not the only one. We have two young teen daughters. So far, so good…every once in a while they (we) fall off the “grateful wagon”. We all need simple reminders. Your words ALWAYS speak right into my heart! Thank you for sharing what God has clearly laid on your heart and in your life! Thank you for your insightful and inspirational blogs. I share them and read them often. I would love to read your book someday! This book (all dog eared, underlined and highlighted) has changed the way I parent! 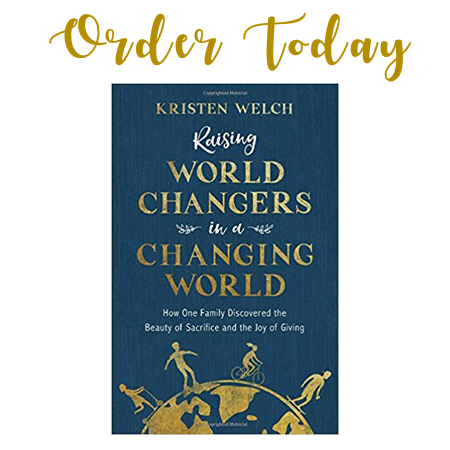 I would love to share a copy with the moms in my tribe! In the teen years with daughter…adore her but some days are so hard. Thank you for sharing your wisdom :). Good to see that our family shares some of your ten strategies. We are on our way, but I see some helpful changes we can make to move us toward becoming a family of gratitude. Thanks for sharing your ideas! Love this! Perfect timing. Thank you! I would love a copy to help me with my 4 boys this summer. Thanks for the opportunity to win. As a pastor’s wife, I also struggle with raising two teenage kids. This would be such a wonderful blessing. Thank you! This is so true and just what I needed to hear today. I’m just starting this journey as my girls are five, but there is inherently so much ungratefulness! Would love to read this book. I repeat this phrase over and over in my house…”people are more important than things”….because things are constantly being stained or broken in our house and I have to remember to not act as if that thing is more important than loving my kids! Thank you for your words of support and encouragement in this post, I needed to hear it. And now it’s time to live it! I desperately need this book. I’m in the beginning stages of the teenage years with my son. its not always easy, but telling him I love him, I believe in him and have have faith in him, often gets a better reaction than more discipline. It’s all trial and error for all of us. Thank you for your words of wisdom and encouragement. Thank you for all of your wonderful posts! In our current culture, it is difficult (but not impossible) to raise grateful kids. It is great to see other parents persevering as well! This! So much this… I would love to win a copy of this book! I would love to read this book! I have a 3 & 5 year old who push me to the brink daily and I’m planning to go back to work soon! God’s gift to us is life. What we do with that life is our gift to God. – – our children are the biggest part of this statement! I am excited to do this challenge! Love all of your posts. I look forward to your posts and just love them. I am currently reading your book, but this would be great for summer being home with my four children. Thank you!!! Very much needed message at our house today! I would like to read this. Thank you for all you do. I have little time to spend on FB and love when I see a post from you! I’m a single mother of two very good kids, and it can be challenging at times! Thanks for posting the challenges, too – nice reminders. would love to have a copy of your book. i led a study on your book Rhinestone Jesus last semester and it was great!! Thanks for your honesty to say the things that most of us are thinking but are way too afraid to utter outloud! Love rule #1. I always receive the best compliments on how my kids behave with other adults. Just wish I saw it more at home. But, they are behaving the way they should with others. Oh that balance of rules and grace. As the captain of team Rule Followers, it is such a challenge for me. Thank you for this encouragement this morning. I’d love to win a copy of your book. I never thought about the fact that they just need to let it all out when they get home. Im SO guilty of asking my kids if they “act this way for their teachers”. Ouch! Thank you for a new perspective!! Now if I can remember that for the new school year! Thank you for your post! I loved….. “When we choose grace over legalism, we are really choosing relationship over rules”. I would love to win a copy of your book!! Thanks! This is so true–I want my kids to be polite, have manners & think of others when they’re away from home. I need them to be able to relax at home. Thank you for the reminder! I would love to win! This book has been on my amazon wish list since it came out, but I can never seem to get the spare cash to buy it. 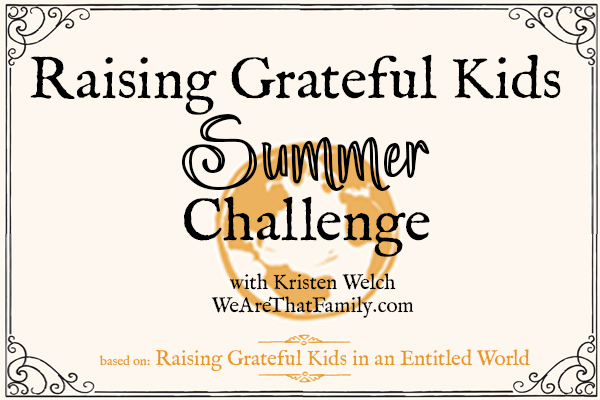 I have three young kids and would love to read it summer just started here and already I have had long conversations about being grateful for what we have! Thanks for this post. It will certainly be something I refer back to. And I’d love to win a copy of your book! It’s never easy but always worth it! Thank you for your post. I appreciate the reminder that sometimes misbehavior is a indication of feeling safe in our home. This speaks to me, exactly where I’m at. Exactly what I need right now! Thank you! Great advise! I have wondered the same about my own children. Your words have definitely inspired me to reevaluate how I’m handling this summer time I get to spend with my girls before us all going back to school. Thanks for sharing! Thanks for the good insight. I’m looking forward to the rest of the series. And I would love to win a copy of the book. Yes. I love this article and would love to read your book! This is such an encouraging post. So, often I think I need a 50 point plan in order to raise my kids to be grateful, sane people. Thanks for the reminder that there is no one-sized key to make that happen, and that focusing on the basics is not only ok, but important. Grace. This is my lesson today. Thank you. Joined a prayer warriors group at my church. Realizing more and more the power prayer has in my life and others. This is definitely the most important. Thank you for sharing. Thank you so much for sharing your heart. I love how real and open you are about hard issues. Thank you for being faithful to God and sharing your stories to help encourage us. I would LOVE to win a copy of your book! We have six children, four girls and two boys and have the same church background…in fact we still attend there but are trying to break away from the rituals and rules and live freely in the grace Jesus provides! It sounds like this book may help our entire family! Wow! Choose relationships over rules! That’s a hard one for me. I’m such a rule follower and have those expectations for my kiddos! This is where I want to grow most. Creating the bond and ensuring the love is felt, rather than the rule is followed. Thank you for your posts. They always inspire me! I would LOVE a copy of this book! We have 3 boys and as they are getting bigger I’m realizing that we need to be much more intentional about seeing other people, recognizing their work, their struggle, their celebrations, and their pain. 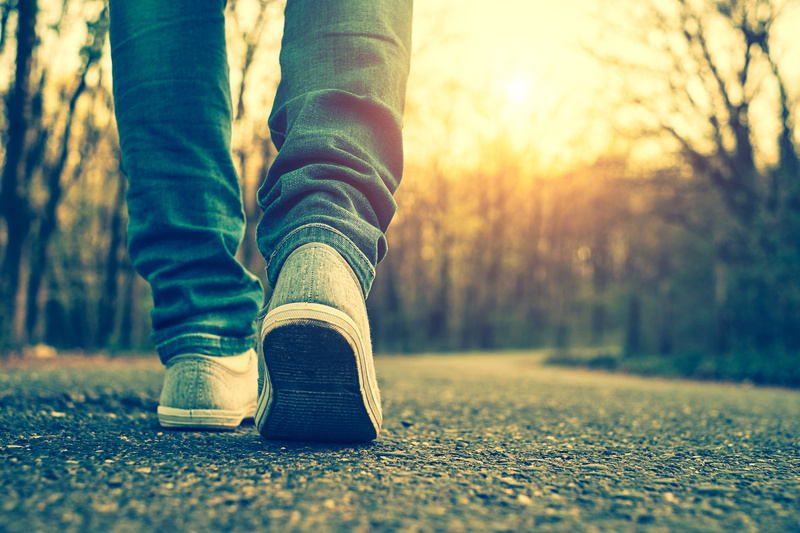 We all need to move out of ourselves, and seeing it so clearly in them reminds me that it is really in me as well. Thank you for your posts! I already have this book, and am so grateful I bought it, but I’d love to win one so I can share w/ another Mama friend. I love your words here and have been following you for a long time! The idea of this book and this article are AWESOME! Thank you! So encouraged by this today, and to see so many traveling this same crazy journey is comforting as well. I’m raising my granddaughter and I have, on many occasions, said I was going to do things differently this time. My daughter loves our help with her but feels lost when it’s just her and her little girl. Maybe this book will help her relax. Oh what a blessing it would be to win a copy! I just finished Rhinestone Jesus and have felt convicted to make some changes in my life. I would be grateful for a copy of this book. As always, great insight and a different perspective that I needed to hear. Thank you for being real and transparent and showing us that we don’t have to be/look perfect to do what we’re called to do. Thank you so much for the reminder, sometimes I forget. I have heard many times that children need love the most when they act the worst and it is so true. I need to work more on number 2 for sure! Thanks for sharing. Love the reminder that home needs to be a soft place to land. Yes!!! I too, struggle with putting relationship over rules. Dying to read this book! Would love to give to my daughter. Mother of 2 YO & another on the way. This would truly be a blessing to win.